Every year since Herb and I have been married, I've been on the fence about sending Christmas cards; the expense of the card, the cost of postage, the hassle of deciding who to send them to... 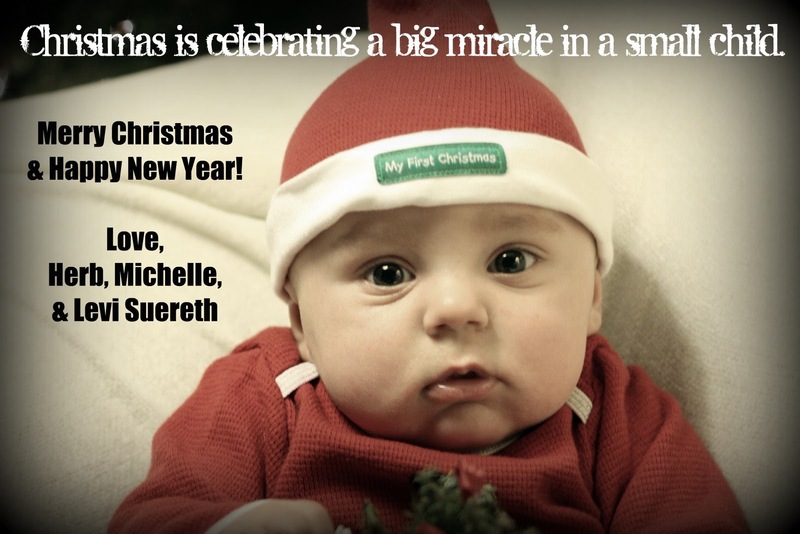 But last year, with the addition of one really cute kid, and one really awesome story, I knew I had to make The Christmas Card a new family tradition. It was a great photo taken by my brother, edited using Picnik, and printed for $0.15/each as a 4x6 photo. This year, I decided to get a little more fancy. When I heard that Tiny Prints was offering 50 free cards to anyone who blogged about it, you better believe I jumped on that! And with 50 free cards, the hassle of deciding who to send them to isn't a big deal either - it's enough for everybody! If you want to check out the Tiny Prints Christmas Line, click here. What are you doing for your Christmas cards this year? **Tiny Prints will be giving me 50 holiday cards for writing this post, but the writing and opinions are all mine.